60’ drama-documentary, broadcast 29th August 2005. 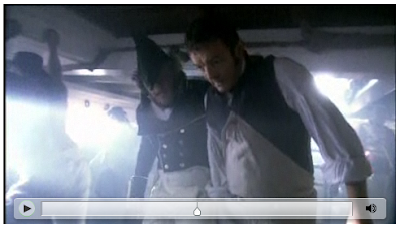 An alternative, below-decks, take on the battle of Trafalgar, starring Roger Daltrey and Francis Magee and featuring a Gulf War veteran as Admiral Nelson. Set on the Orlop deck of HMS Victory, this one hour historical drama follows the course of the battle from the point of view of William Beatty, ship’s surgeon, his surgical team, and the ordinary sailors they tried to save. Written and filmed in the style of a popular medical drama, Trafalgar Battle Surgeon is a gritty, witty snapshot of one of the most iconic days in British history. To watch the promo video, go to the Hardy Pictures website here.